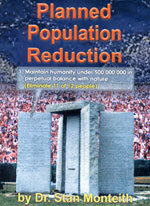 Illuminati plans to depopulate the Earth fulfill prophecy! Subtitle: Cutting Edge has been noting often since February, 2004, that President Bush seems to be the target of a campaign of discreditation designed to thoroughly dishonor him and the Christian Right who has supported him all these years. This is one subject to which Cutting Edge has been referring for three and one-half years, for we believe that the most certain way in which Born Again Christians could be so discredited as to be set up for persecution is to have their top leader -- President Bush -- thoroughly discredited. Further, International War Crimes seems to be the most effective path for Christians to be discredited. Before you read this article, please take a few moments to read our earlier posting on this issue, NEWS1929, "Campaign To Discredit President Bush Seems To Be Moving Into High Gear". 1) Born Again Christians -- Genuine Christians are so stubborn by spiritual nature because they know they are following Absolute Truth as found in the Bible and in their Savior, Jesus Christ. 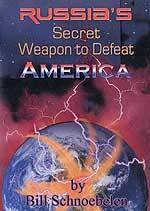 Therefore, genuine Christians have proven a most formidable enemy to the Illuminati. Remember, Liberal Christians are not a problem; only the Fundamental, Conservative Christians are the obstacle. 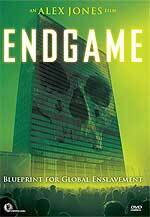 2) National Sovereignty -- When President Bush ordered American troops to invade Iraq on March 20, 2003, he was exercising his authority as a National Sovereign. He was also repudiating -- publicly at least -- the "collective will" of the International Community as represented by the United Nations. On the one hand, President Bush was vehemently stating that Saddam was a threat to world "peace and safety" because he possessed WMD, and was a threat to give some of that weaponry to Al Qaeda terrorists. On the other hand, the United Nations was just as vehement in their declaration that Iraq possessed no WMD that could be either used against his neighbors or shared with terrorists. Now, 3 1/2 years after our first warning, President Bush is finally facing a chain of events serious enough to land him in the docket at the International Criminal Court at The Hague after he leaves office and becomes a private citizen. The planned mechanism whereby an International Court can indict a sitting President is not yet in place; therefore, this War Crimes trial must wait until George W. Bush leaves the White House to become a private citizen again. What are these two major offenses? 1) Depleted Uranium (D.U.) -- Uranium poisoning from Depleted Uranium munitions is one of THE most incredibly dangerous threats to the health of the entire earth. Cutting Edge has raised our voice of protest repeatedly since the March 20, 2003, invasion of Iraq. Since this invasion, over 2,000 tons of D.U. munitions have been exploded in Iraq and Afghanistan. As soon as a D.U. projectile hits its hard target, the very dense uranium metal is vaporized by a very short burst of energy almost as hot as the surface of the Sun. This intense heat totally destroys the target, but the metal turns into the smallest of particles, which mix in with the dust of the terrain. If a person breathes in one of these poisoned dust particles, that small speck lodges within their lungs and begins to radiate the body with uranium poisoning 24 hours a day, 7 days a week. That person is as good as dead, even though it may take up to 20 years to occur. We have written much about this subject, and have placed our articles in the "Depleted Uranium Section". You will be shocked to learn that Depleted Uranium dust can, and is, killing entire populations of people. Today, almost 900 million people are daily breathing in this awfully polluted dust -- and all these nations are considered to be "Non-Integrating States"! Now, let us consider how this most carefully guarded secret is about to burst into our national consciousness -- even to the point of completely discrediting the President who ordered this awful war against Iraq, a conflict based upon the most egregious lies imaginable. In this story, below, notice that the one constant thread is that the government continually lied to these poor victims, falsely assuring them that the Depleted Uranium filling their lungs, their air, their soil and their water was not dangerous to their health. Don't you think that this sounds like those movies in which government officials lie and obfuscate until the disaster is unavoidable? "They were told depleted uranium was not hazardous. Now, 23 years after a US arms plant closed, workers and residents have cancer - and experts say their suffering shows the use of such weapons may be a war crime ... It is 50 years since Tony Ciarfello and his friends used the yard of a depleted uranium weapons factory as their playground in Colonie, a suburb of Albany in upstate New York state. 'There wasn't no fence at the back of the plant,' remembers Ciarfello. 'Inside was a big open ground and nobody would chase us away. We used to play baseball and hang by the stream running through it. We even used to fish in it - though we noticed the fish had big pink lumps on them'. " 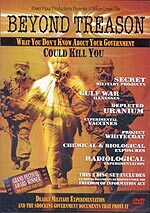 The government has known about the disastrous health effects which Depleted Uranium causes human beings since the end of World War II, when extensive atmospheric and underground nuclear testing were conducted. Therefore, when they told these residents in 1984 that D.U. was not hazardous to human health, these trusting, patriotic people believed. Now, as these people are slowly dying of uranium poisoning, the government officials who lied to them are probably retired, living in good health in the Bahamas! "Today there are lumps on Ciarfello's chest - strange, round tumours that protrude about an inch. 'No one seems to know what they are,' he says. 'I've also had a brain aneurysm caused by a suspected tumour. I'm constantly fatigued and for years I've had terrible pains, deep inside my leg bones. I fall over without warning and I've got a heart condition.' Ciarfello's illnesses have rendered him unable to work for years. Aged 57 and a father of five, he looks much older." These symptoms are typical for uranium poisoning. However, note that the medical establishment is professing ignorance as to what is causing these tumors. Most likely, these doctors are under orders to profess such ignorance in order to spare the Federal Government the liability issues which would naturally flow from such an admission. How did Tony Ciarfello get exposed to such uranium poisoning? He worked at a Depleted Uranium Munitions plant! "The US federal government and the firm that ran the factory, National Lead (NL) Industries, have been assuring former workers and residents around the 18-acre site for decades that, although it is true that the plant used to produce unacceptable levels of radioactive pollution, it was not a serious health hazard." Can you believe this nonsense? Even though officials were admitting that radioactive levels were "unacceptable", they continued to assure plant workers and their loved ones that they had nothing to fear, that no proven health hazard existed! The day of reckoning might be at hand -- finally! "Now, in a development with potentially devastating implications not only for Colonie but also for the future use of some of the West's most powerful weapon systems, that claim is being challenged. In a paper to be published in the next issue of the scientific journal Science of the Total Environment, a team led by Professor Randall Parrish of Leicester University reports the results of a three-year study of Colonie, funded by Britain's Ministry of Defence. Parrish's team has found that DU contamination, which remains radioactive for millions of years, is in effect impossible to eradicate, not only from the environment but also from the bodies of humans ... this] indicates that the body burden of uranium must still be significant [after 20 years], whether retained in lungs, lymphatic system, kidneys or bone'." "The Army Corps clean-up team tested the soil from some of the gardens of houses backing on to the plant, and in cases where it was found to be emitting more than 35 pico curies of radiation per gram they removed it. The researchers discovered dust in and around buildings emitting up to 10 times as much. DU, inhaled in the form of tiny motes of oxide that lodge inside the lungs, emits alpha radiation, nuclei of helium. Unlike the gamma radiation produced by enriched, weapons-grade uranium, alpha particles will not penetrate the skin. But inside the body DU travels around the bloodstream, accumulating not only in the lungs but also in other soft tissues such as the brain and bone marrow. There, each mote becomes an alpha particle hotspot, bombarding its locality and damaging cell DNA. Research has shown that DU has the potential to cause a wide range of cancers, kidney and thyroid problems, birth defects and disorders of the immune system." "... DU has the potential to cause a wide range of cancers, kidney and thyroid problems, birth defects and disorders of the immune system." This next segment speaks of the disaster which is befalling the entire Iraqi population. "Now we know that we can still find measurable levels of DU among the people of Colonie, we need a much bigger study to establish whether they have suffered disproportionate ill-effects such as cancers as a consequence. If they have, it would raise a serious ethical challenge to the use of these weapons. Arguably it could constitute a war crime'." Of course, using D.U. weaponry on the battlefield is a crime, for its affects kill civilians many, many miles away from the battlefield and it kills them steadily over a period of 20 years after initial exposure. D.U. activists have long cited international statutes which forbid an army from using weapons which continue to kill civilians long after the battle is fought. This last segment demonstrates that the last three American presidents can be indicted on War Crimes. "DU shells were widely used in the 1991 Gulf war; in Bosnia and Kosovo; and are being used now in Iraq and Afghanistan." * President George H. W. Bush is culpable as he oversaw the first D.U. war in history, the 1991 Gulf War. * President William Clinton is culpable as he ordered the second D.U. war in history, the 1999 war in Bosnia and Kosovo. 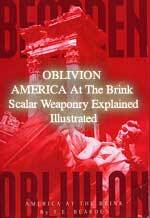 * And, finally, President George W. Bush is really culpable because he ordered the Iraq invasion based upon sheer lies and exaggeration, a war which has seen over 2,000 tons of D.U. munitions exploded for the past four years. Today, estimates indicate that as many as 857 million people in this Middle Eastern region are daily breathing in uranium dust. When President Bush stands in the docket of the International War Crimes court, he shall be found guilty of ordering the greatest genocide in world history -- nearly one billion human victims. However, President Bush may not be in the docket only for Depleted Uranium War Crimes. There is the matter of illegal torture. 2) Torture of terrorist suspects since 9/11, in violation of International Law. "If there is one thing the Bush administration is good at, it's talking points: simple, stupid slogans. And when it comes to torture, the theme du jour is that we are all too simple and too stupid to understand just what is and is not prohibited. More than anything, White House officials want us to believe that the law of torture is so terribly confusing and vague that no lay person could comprehend its complexities ... not even the attorneys can really sort it all out. How, then, the not-so-subtle implication would be, could anyone be held responsible for violating it?" However much the White House and the Attorney General want to spin the story that torture is not really torture, the Department of Justice lawyers have been working with lawyers from the State of Florida to prosecute petty Third World dictators who are guilty of the same types of 'interrogation techniques' which American military and CIA interrogators have been inflicting upon hapless "terrorist suspects" since the attacks of 9/11. "As it happens, while the president and his many talking heads have been defending torture in Washington, lawyers from the Department of Justice and the US Attorney's Office for the Southern District of Florida have been prosecuting it. In a case officially titled United States v. Charles Emmanuel, they have charged Charles "Chuckie" Taylor Jr., son of the former president of Liberia, Charles McArthur Taylor, with committing and conspiring to commit acts of torture on behalf of the former Liberian government's Anti-Terrorism Unit. The statute under which Taylor Jr. is charged - Title 18, United States Code, Section 2340 - is the very law that contains the definition of torture Bush administration appointees seem to find so befuddling. The DOJ trial attorneys handling the real-life prosecution of Chuckie Taylor Jr. are, on the other hand, not confused in the least about the law of torture." We encourage you to read this Truthout article in its entirety, for lower level D.O.J. lawyers are not allowing deposed Liberian dictator Taylor to use the exact same defense strategy which President Bush and his advisers have been hiding behind for years! Cutting Edge began posting torture articles in late October, 2001, just weeks after the attacks of 9/11. Even though professional interrogators know fully well that torture never produces "righteous" information (correct information) -- since the victims simply and only say what they think their interrogators want to hear -- Bush Administration officials have insistently tortured prisoners. 2) To infuriate the entire Islamic world, producing a "Blood In The Streets" phenomenon. Torture is against a number of International Treaties, as President Bush and his legal adviser, Gonzales, knew perfectly well. As these two issues grind their way forward through the court systems, we could very well see the time arrive in 2009, after Bush has become a private citizen, for the International Criminal Court to indict him on War Crimes. The most horrific crime would be the Depleted Uranium crime, because that disaster has the potential to make President Bush the greatest war criminal in world history. But, remember, if George W. Bush goes down, genuine Christianity will go down also, because these invasions of Afghanistan and Iraq will be seen in the eyes of the world as an expected outgrowth of a President acting according to his Biblical prophetic beliefs. Bush's "Crusades" may turn out to be the catalyst for Antichrist to begin rounding up and persecuting Christians.